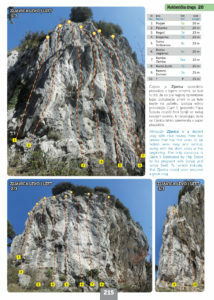 New guidebook for Karst Edge is out now! So much more material has been accumulated that we decided to split the topo in two books, Karst edge for Slovenian and Italian crags and Istria for Croatian part. We’re sure it’s also much more practical to use smaller book while climbing, so there you have it. But don’t worry, we kept the price as low as it gets. 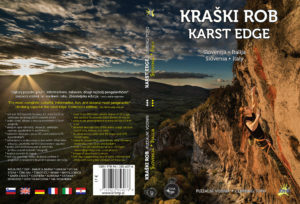 The first book, Karst edge wil cost you no more than 17€. 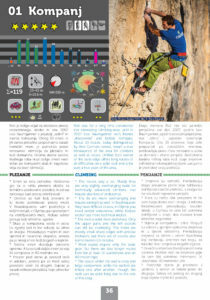 It will include the crags: Mišja peč, Osp – Banje & Babna, Luknja, Big Wall, Črni Kal, Črnotiče (bouldering place new to this edition), Risnik, Napoleonica, Santa Croce, Costiera, Aurisina (new nice winter crag), Sistiana, Doberdo, Grotta Katerina and Val Rosandra (a HUGE new addition). All the crags have been revisited, updated and reevaluated, with many new photos, maps and trivia. The topo also has lots of extra content, like the rest day recommendations, interviews with key climbers like Ondra, Slabe, Sbisi, Galičič, Vodlan, history, culinary and climbing articles and so much more. It will be your Bible while climbing in this part of the world!